Kohachiro Miyata (Jap. : ????? 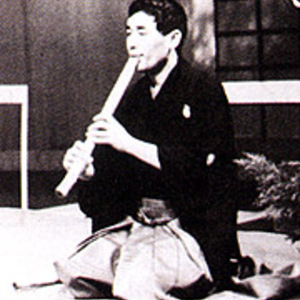 Miyata Kohachiro) has been recognized in recent years as one of Japan's leading players of the shakuhachi. He joined the Ensemble Nipponia shortly after its inception and is one of its most prominent members: he has been selected as one of the few to participate in each of the Ensemble's overseas tours. Mr. Miyata is noted for his playing of contemporary as well as traditional music, and his recital programs are devoted equally to both repertories.